Based in the south London suburb of Hampton Wick, Frozen Fish have been doing some remarkable things with hybrid console bespoke design across the globe. Resurface paid them a visit to talk about their craft. 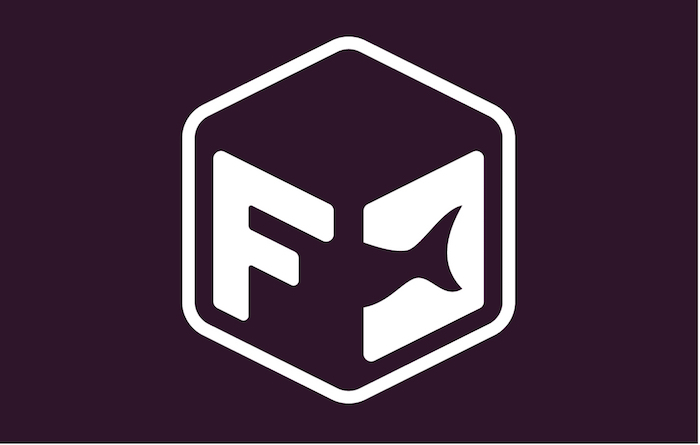 Founded by Glenn Haddock and Allan Frost (see what they did there), Frozen Fish are a specialist design and manufacturing company with an illustrious history in creating one-off commissions for a media and arts industry client base. 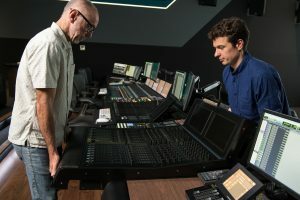 Their route to the mixing console world came via an old film industry contact working at Twickenham studios, knowing their history of engineering and being local they were commissioned to design bespoke console frames and accessories for three of Twickenham’s stages. 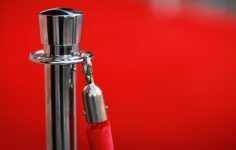 Word of mouth, a small industry and a bit of time and they now find themselves being asked to do more and more with clients at the sharp end of the audio business. Specifically, to better integrate an array of tools which hitherto haven’t played nicely together into bespoke neat, ergonomic solutions. As Simon Ray told us in our recent interview (coming to Resurface soon), feedback from his clients led him to determine that neither Avid S6, nor AMS DFC would, exclusively, be the right console for his huge new Dolby Atmos Premier room in Soho. It was going to have to be both. Moreover, in different ratios depending on the client. This is nothing new. 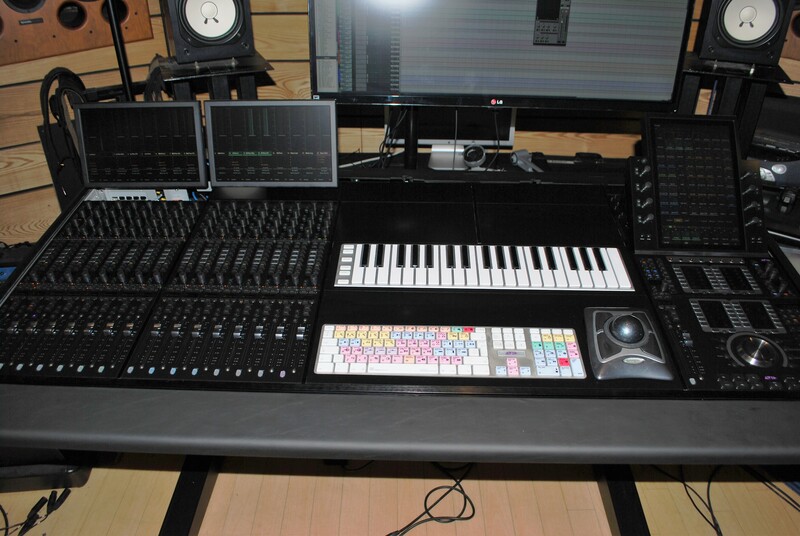 The notion of a large format DSP console with one or more control surfaces parked on top of it is a familiar sight. 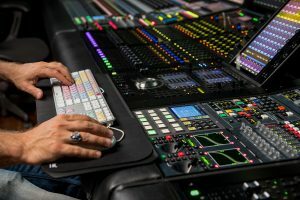 Indeed, Stage 12 at Warner Brothers in Burbank has for some time offered the ability to configure a multi-operator console from a mixture of Icon and DFC sections. The challenge for Goldcrest was make their own mark on the hybrid concept. Frozen Fish designed and manufactured an exquisitely neat solution. Using and recreating the larger of the two profiles: the DFC’s ‘bucket’ and integrating S6 modules and their accompanying connectivity and power supply into that footprint such that they align. 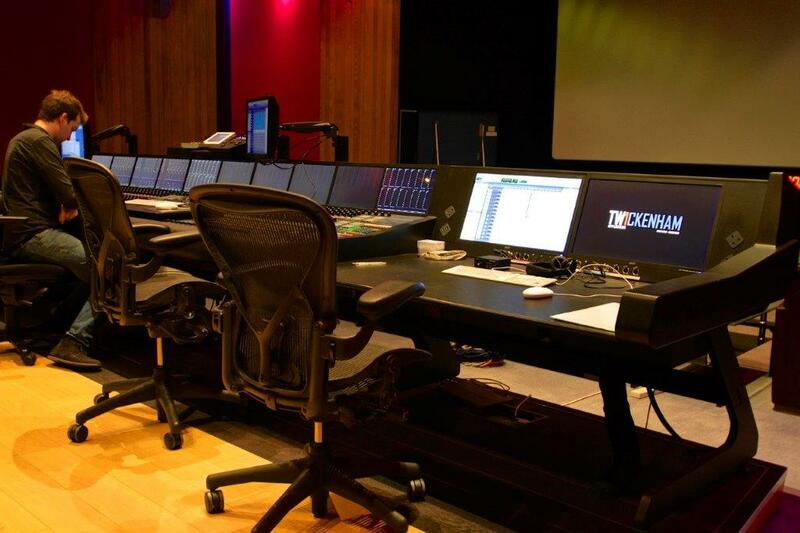 The result is what appears to be one desk, one coherent mixing environment, but which is comprised of a mixture of DFC and S6 in differing configurations. Like any piece of design, it’s the detail that makes the difference. 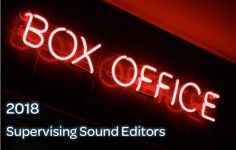 In this case, we were particularly impressed that the faders of the two rival consoles were made to align perfectly, as are the top row of encoders. Impressive also is that, by subtly modifying the way in which the wrist rest mounts to the DFC-spec buckets, Frozen Fish have created a ‘groove’ that will accommodate a sliding keyboard tray. This allows the keyboard/mouse to run smoothly across the entire length of the hybrid console. To our mind, these touches alone put Glenn and Allan squarely in the frame for the Nobel Peace Prize. Legendary producer and songwriter Stephen Lipson called on Frozen Fish to overcome an equally prevalent challenge in the music world. 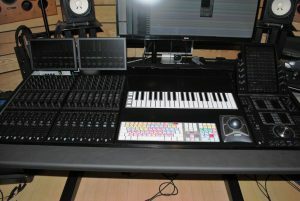 As the integration of control surface and DSP console is to film mix stages, so too is the MIDI controller keyboard and mixing console to recording studios. Keeping ‘in the zone’ in a mix, yet having the ability to add parts as inspiration and need dictate. 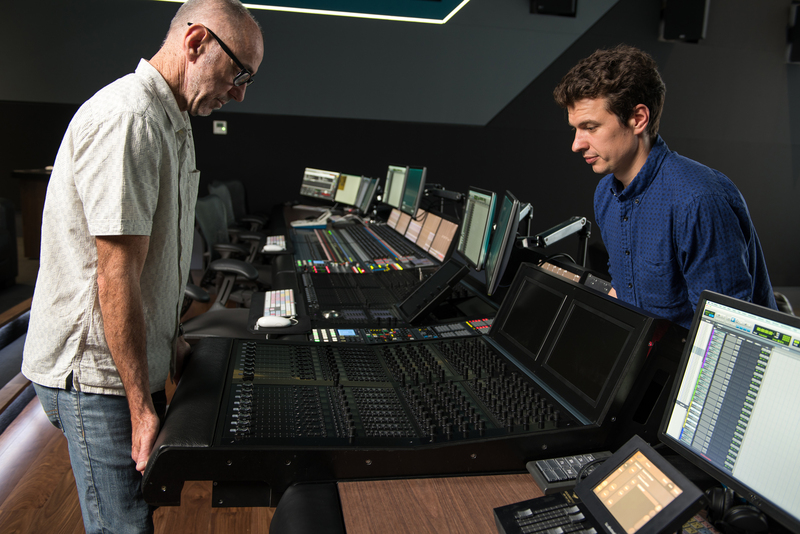 Part of the appeal of Avid’s S6 is its modular composition. The traditional mixing desk deconstructed into its constituent parts, vertically and horizontally. In theory this allows for untold new and original configurations. Trickier, though, is how to incorporate other elements of the process into mixing. Where the flow is no longer a linear transition from composition to tracking to mixing, this is increasingly relevant. Frozen Fish’s approach was inventive and pragmatic in equal measure. Rather than reinvent the wheel, Glenn took as his starting point the standard Avid-supplied empty S6 chassis. Using two side-by-side, and with some precision metalwork and well-matched alterations, the result is an integrated section for S6 with Apple Keyboard, Trackball and a flush-mounted 3-Octave MIDI controller. Underpinning all of this is a bespoke leg set, frame and screen support. Bespoke one-offs aside, much of what Frozen Fish are creating in the hybrid console space are everyday great ideas, smart and simple additions and accessories. 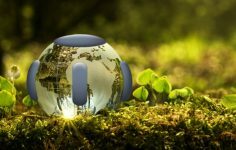 Many represent great alternatives to the manufacturers’ standard offerings. 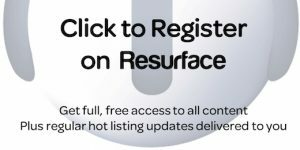 Over the coming weeks and months we’ll be showcasing a number of these here on Resurface.